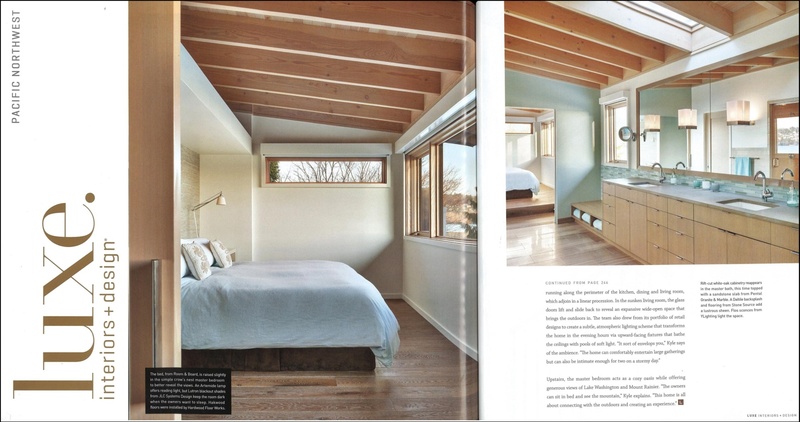 The feature article this month explores the “Urban Oasis” designed by SkB Architects on the shores of Lake Washington. This serene retreat is designed to connect with the outdoors. On the first level, an expansive deck and sliding barn doors open to a lake view creating an indoor-outdoor space. Upstairs, a cozy oasis master bedroom overlooks Mt. Renier. The owners chose for Romance in the bedroom, from Hakwood’s Colour Collection. Overall, a respite from everyday city living.